Business Hours: Park is open to visitors from 5 a.m. to 10 p.m. daily, with the Nature Center open from 9 a.m. to 4 p.m. daily. Colorado Parks and Wildlife is a nationally recognized leader in conservation, outdoor recreation and wildlife management. 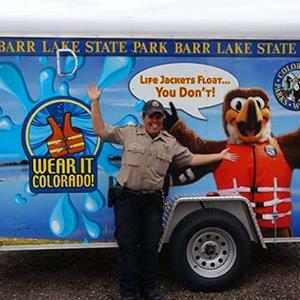 The agency manages 42 state parks, all of Colorado’s wildlife, more than 300 state wildlife areas and a host of recreational programs. CPW issues hunting and fishing licenses, conducts research to improve wildlife habitat through acquisitions and partnerships, provides technical assistance to private and other public landowners concerning wildlife and habitat management and develops programs to understand, protect and recover threatened and endangered species. 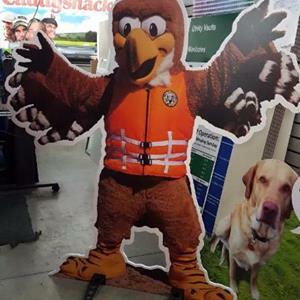 We wanted to promote the park and activities at the park to generate more interest in all our park events and the park itself. Our target really is Adams county residents and the community of Brighton. Yes they did! We continue to get a lot of self promotion from our trailer wrap at events and we have a lot of informative signs that help direct people throughout the park. What kind of feedback have you received from your clientele regarding the signs? They say it looks very professional, eye catching, and they were able to recognize what is going on when they came out to the park. Interested in learning more about Signarama? Visit us online or give us a call at 303-914-9700 for a custom quote.